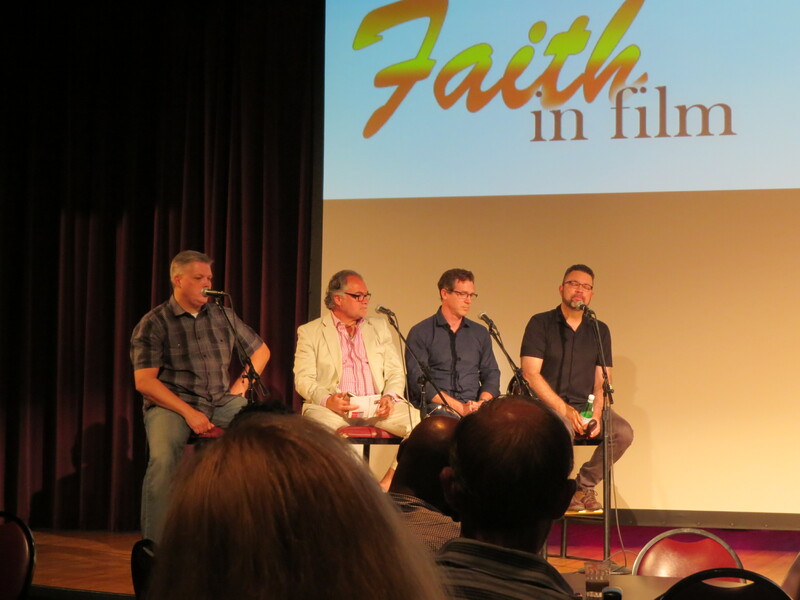 I keep hearing from folks that Nashville is the happening place to be for faith-based filmmaking. I’ve wondered why that is, Then yesterday it hit me. It’s not just because so many movies are being filmed in the Nashville area. It’s not just because it’s such a great place to live overall. But it’s because of the amazing community of pooled resources that we have. 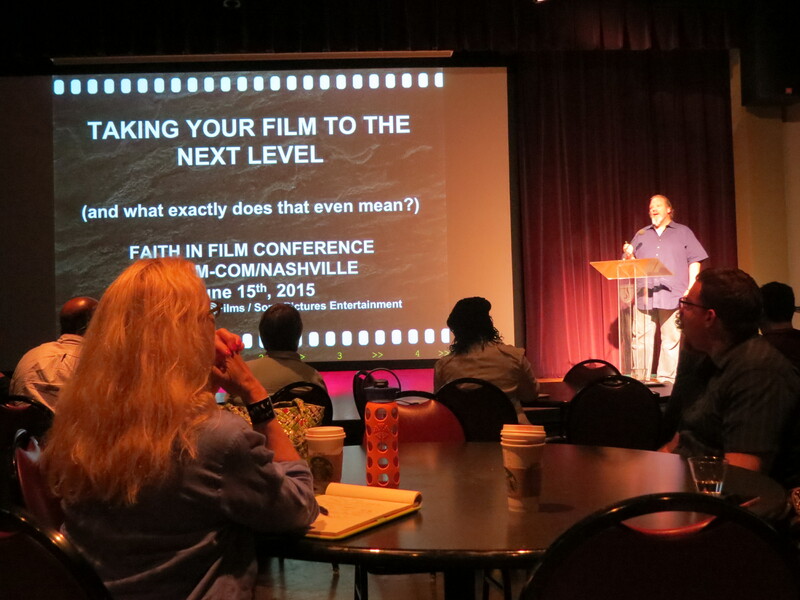 Yesterday we attended the annual Faith in Film Conference at Lipscomb University in Nashville. 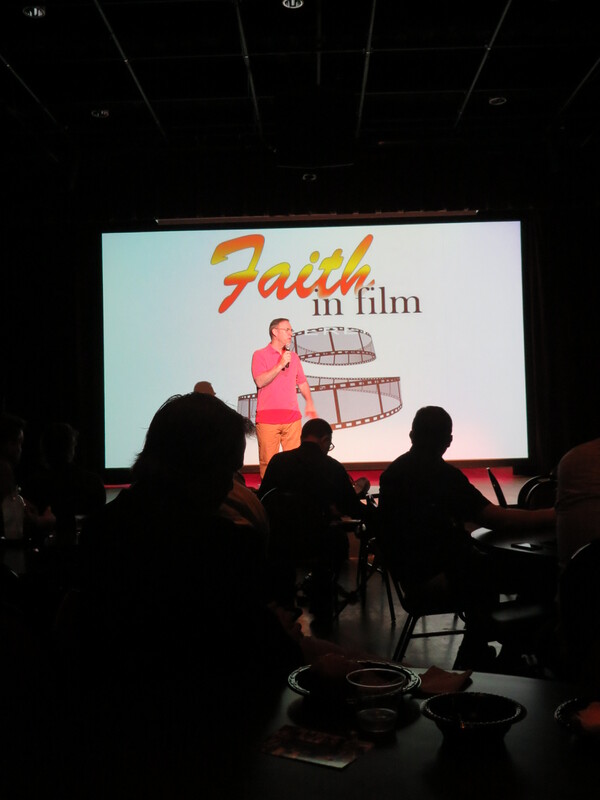 The conference is sponsored by our monthly Faith in Film breakfast group and is part of Film-com, an entire week of film related events including Score-com, Script-com, Actor-com, and more. It was an amazing time of learning and networking. 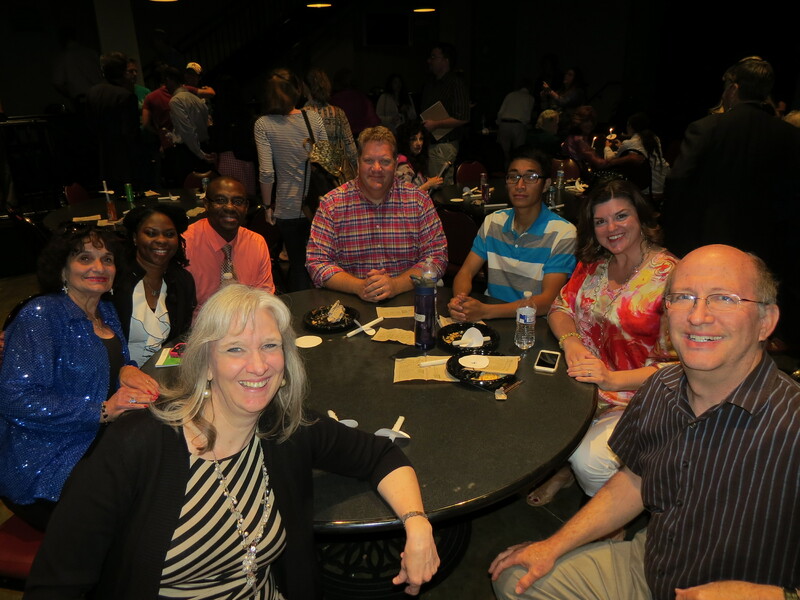 The Faith in Film conference kicked off on Sunday night with an early screening of Woodlawn: Dare to Believe. I’m a big fan of the Erwin brothers, and was looking forward to their latest movie. I wasn’t disappointed. It’s a great story, beautifully told, well acted, and featuring an impressive soundtrack. As filmmakers in the post production stage of Providence, we especially enjoyed watching this early version of Woodlawn that included place holders for certain scenes and empty stadium shots that still needed to be filled in. Monday’s schedule included panel discussions on social media, distribution, and merchandising with a keynote address by Rich Peluso, Sr VP AFFIRM Films/Sony Pictures. 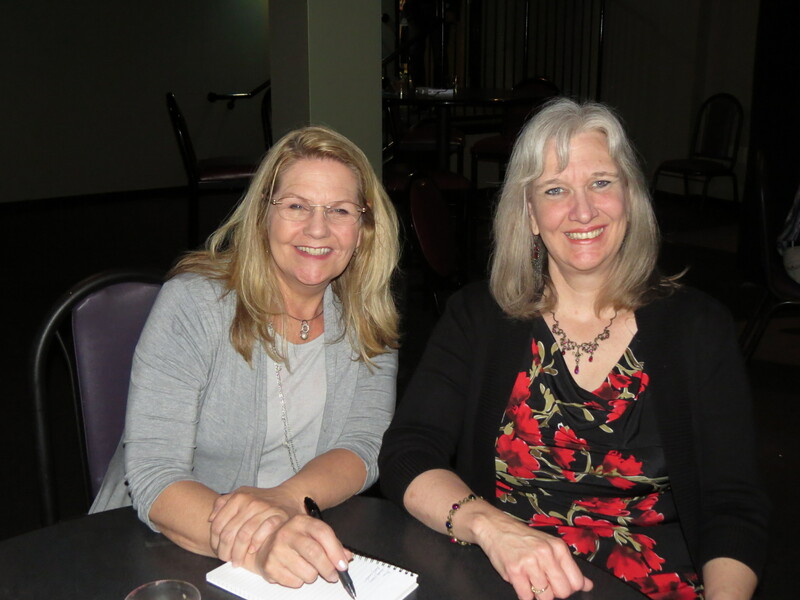 I took notes constantly trying to absorb all the wisdom the very knowledgeable speakers had to share. 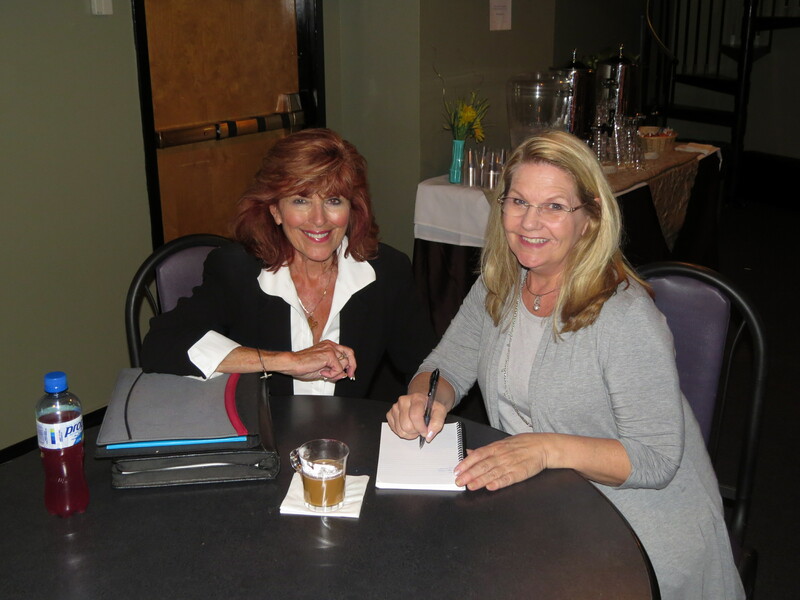 Barry Landis of Ribbow Media did an amazing job organizing the event and lining up a wonderful mix of panelists. I consider myself fairly savvy when it comes to social media, especially Facebook, but I learned things yesterday that I had never heard before.Ribbow Media is a master of social media. Several of their employees as well as their college interns each shared their area of expertise. They helped me understand how Facebook works and will definitely impact the way I use Facebook in the future. 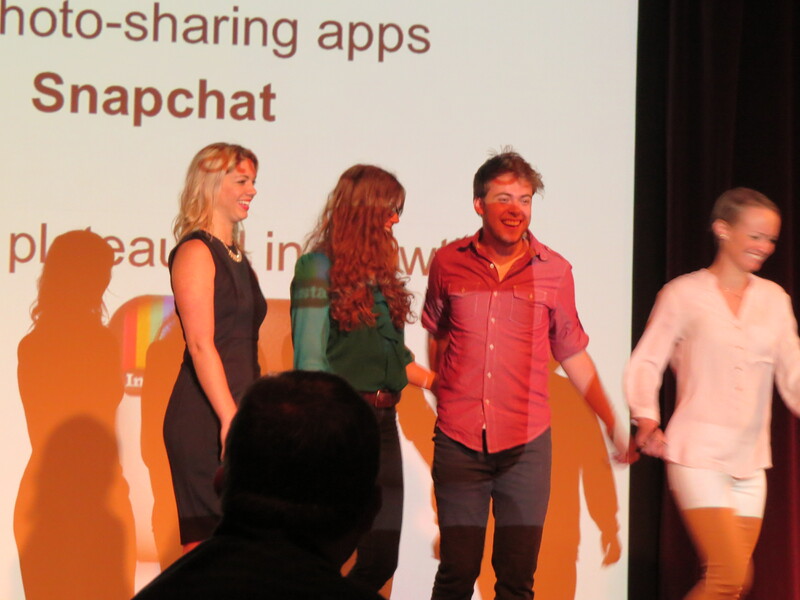 Ryan Dunlap explained to us how everything we post and share contributions to our brand. Evan Derrick provided very detailed analysis of what posts get the most reach. Ash Greyson discussed the importance of relationships. Ribbow Media Group interns share statistics and trends in social media. Next on the agenda was the changing landscape of distribution. Steve McBeth represented Salt Entertainment. Ben Howard represented Provident Films. And Jay Hogan represented Gathr. I was especially glad to learn more about Gathr as we are looking into theater on demand for Providence. I enjoyed hearing the different panelists discussing various models of distribution like Believe Me, October Baby, and several films I’d never heard of but will definitely be looking into. Barry Landis moderates the distribution panel with Steve McBeth, Jay Hogan, and Ben Howard. 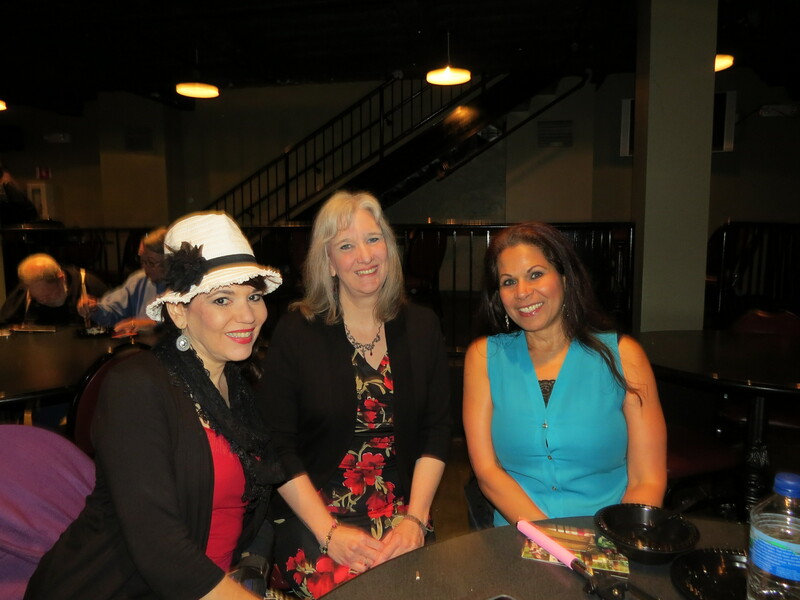 We had a generous lunch break that allowed us plenty of time to network and meet new people. 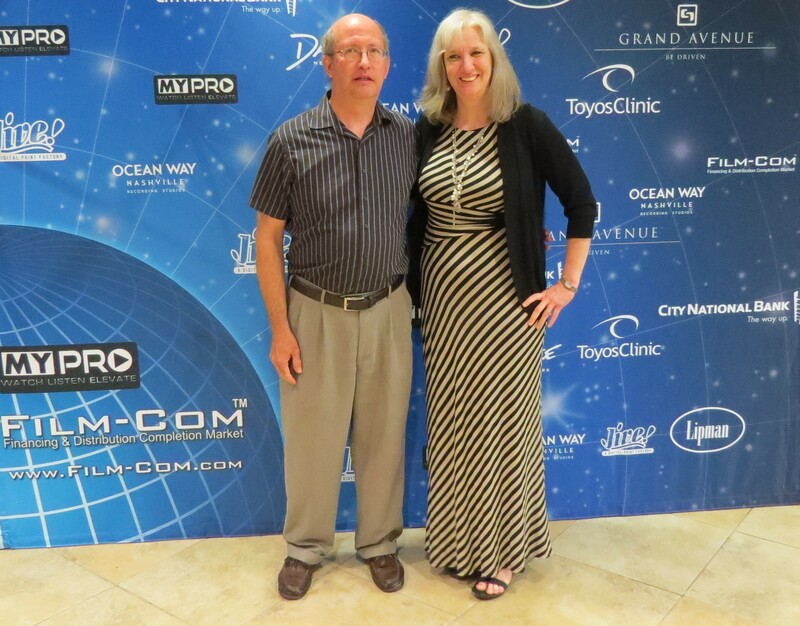 We were able to meet a wide assortment of new industry friends as well as visit with old friends. After lunch the panel discussion was on a topic of interest to all filmmakers, how to make money on your film. Tony Young from City on a Hill shared about their curriculum for pastors and small groups. John Thompson from Capitol Christian Music discussed the music aspects of a film. Jonathan Merck from Howard Books discussed novelizations and other related books. And Brian Mitchell from Working Title discussed consumer products. They also included information about the importance of windows for each aspect of the film. 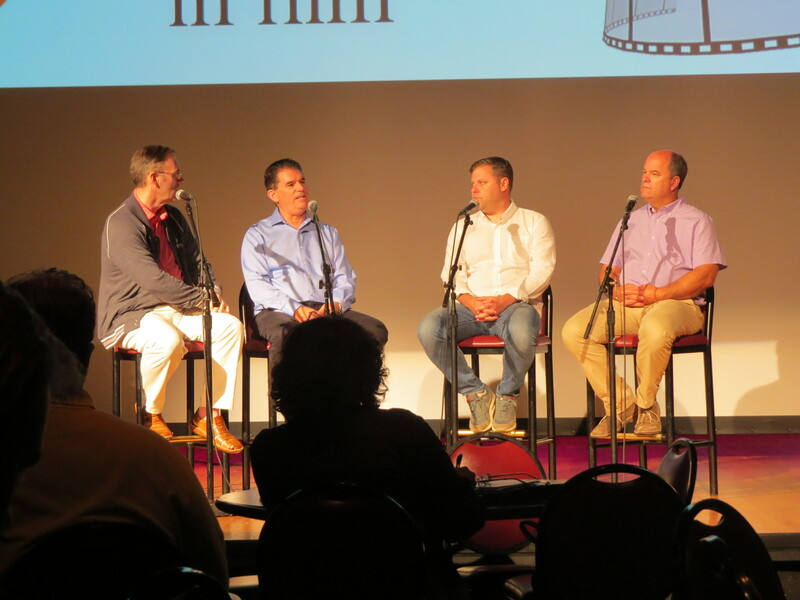 Tony Young, John J. Thompson, Jonathan Merke, and Brian Mitchell discuss monetizing movies. Finally, the day concluded with Rich Peluso from Affirm Films giving the keynote address on taking our films to the next level. I especially loved hearing his story of how he became Sr VP of Affirm Films/Sony Pictures. What a great example of God’s timing. I also enjoyed hearing his stories of various movies he’s been a part of, and what they did to stretch themselves and take their movies to a new level. Rich Peloso gives the keynote address. We’re so fortunate to live in Middle Tennessee and to be able to take advantage of the amazing resources we have here, including the Faith in Film group. I’m so thankful that God brought us to the area. 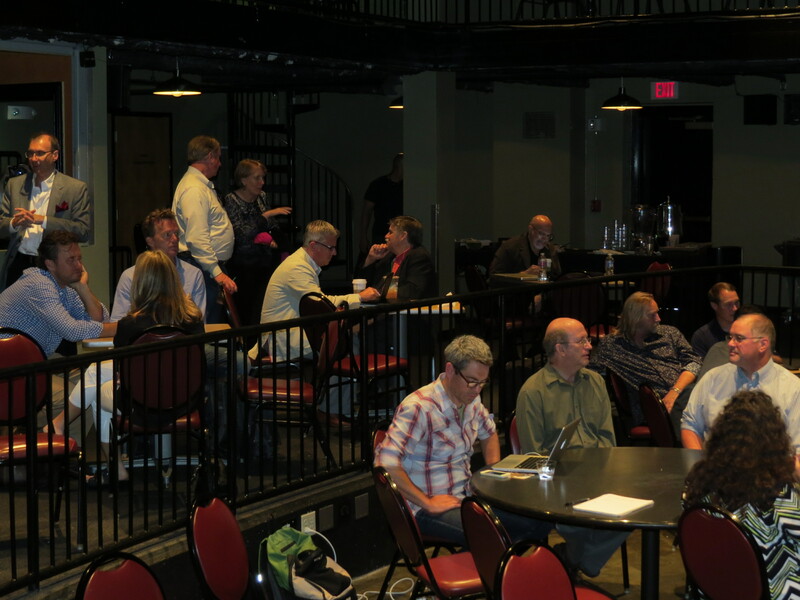 We are truly blessed to be a part of such a talented group of Christian filmmakers and industry executives. Looking forward to the rest of Film-com, including pitching Providence at the New Project Expo. Hope to see you there! Wished I could have gone to this one. Sounds great, and so many wonderfully talented people present. Wow! Hope it superpowers your work and Providence movie post-prod & distribution to success. 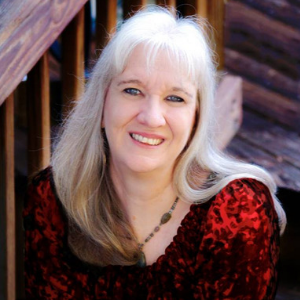 It was so nice to meet you face to face, Sharon. And I wish you all the best. See you around!